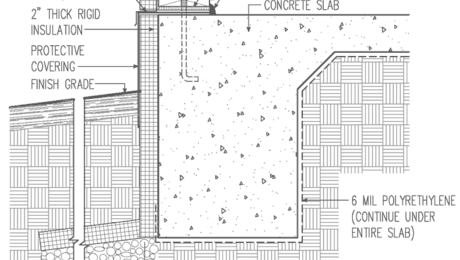 Not only do slabs eliminate the need for floor framing, but they also reduce the excavation and concrete needed for a crawl space or basement. And concrete slabs can be used as the finished floor. Monolithic slabs are great choices in any climate, but not any lot—relatively level lots are needed. 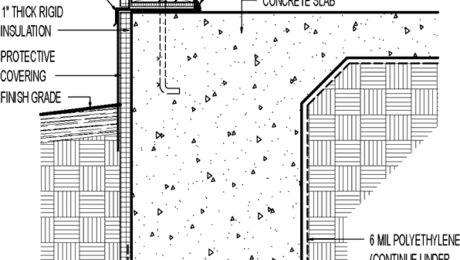 Insulated slabs improve comfort. 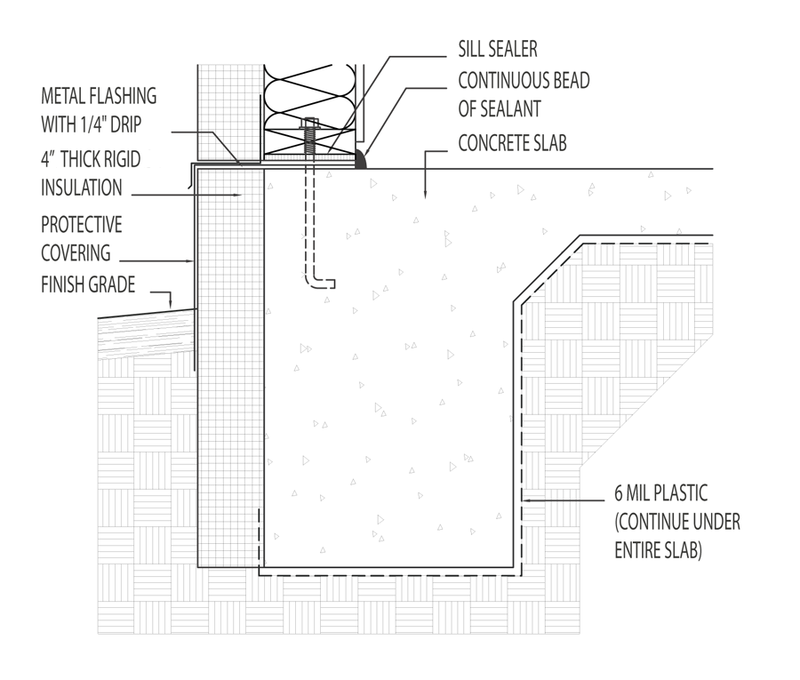 Install a continuous layer of rigid foam insulation around the slab, except in hot climates or in termite-infested areas where local codes may prohibit the practice. 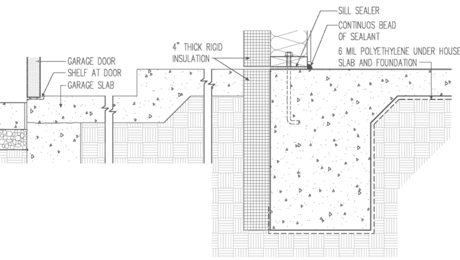 The insulation buffers the slab from outdoor temperature swings, keeps the slab warm and dry, and lowers energy bills.